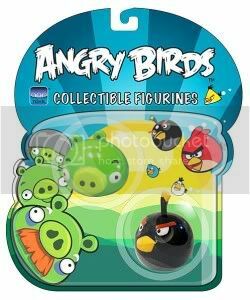 Official Angry Birds Keychains Will Hang Around With You! 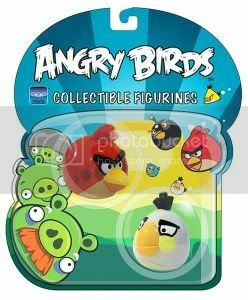 If you're in the market for Angry Birds collectible stuff it's best you wait for these official Angry Birds Keychains rather than going for the "unlicensed" stuff that really wouldn't count as a collectible. 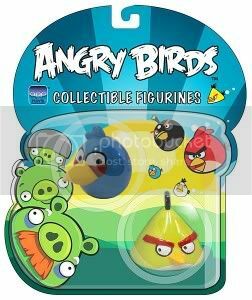 If you want your kids or even yourself to score additional Angry Bird points among all your Angry Bird addicted friends having these tied to your bag or huge wallet would probably make you the biggest bird of a geek. We also have a couple more shots of the packaging after the break and far as I can remember these aren't out yet on our side of the world but you can contact the source link for more info on how to get these the earliest. While you're at it why not order an Angry Bird Cake to go with that appetite!